Sunday June 1 at 11pm ET, Vito Colucci welcomes fellow private investigators, Bob Rahn and Kim Anklin of Management Resources LTD of NY to his weekly radio show, Crime Time with Vito Colucci. The wrongful conviction and recent exoneration of Jonathan Fleming quickly made headlines across the US and globally. What many of the major news outlets didn’t cover was the back story of the year-long investigation. Bob Rahn and Kim Anklin were first approached by the Fleming family after many attempts were made through legal channels, and other private investigators, to prove Fleming’s innocence, one of several cases awaiting rulings within the Brooklyn, NY District Attorney’s office. They were able to uncover crucial evidence, re-interview key witnesses, and turn their findings over to the Conviction Integrity Unit and the District Attorney, resulting in a favorable ruling and Fleming’s freedom. As a consequence of their work with Jonathan Fleming, Rahn and Anklin have been besieged with calls from other families with a member they believe to be unjustly incarcerated . This has given Rahn and Anklin yet another insight into the issue of wrongful convictions, the cycle created by this egregious flaw of the criminal justice system. None of the families who have called have funds to hire the investigators, most from low-income backgrounds, others who used their money and resources in the original trial and defense of the person convicted. The other end of the spectrum for those wrongfully convicted is, if they are lucky enough to be exonerated, when released there are little resources and support, in fact less than they would receive if they served an entire sentence and were paroled, all for a crime they didn’t commit. Crime Time with Vito Colucci, P.I. features anything crime related. Current high profile cases or trials are discussed in detail with commentary from law enforcement experts and lawyers. Tune in each Sunday night at 11PM Eastern to hear Vito and his guests on Business TalkRadio. CLICK HEREand hit “Listen Live” for the live show, or you can always listen later by going to the Archives/Podcasts. 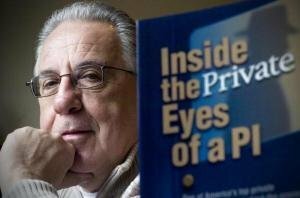 Vito has been a private investigator for the past 22 years, working many high profile cases; Michael Skakel/Martha Moxley case, Jayson William’s case, and honeymooner, George Smith’s case . Vito Colucci is a regular commentator on various news programs including: Fox News MSNBC, Catherine Crier/Court TV, Star Jones, Glenn Beck, Nancy Grace, Larry King, CNN Headline News, and The Bill O’Reilly Show. Previous PostHow do Private Investigators Work with Attorneys? Next PostShattered Lives: Homicide by Diabetes?